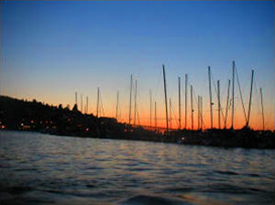 Listed in FODOR's as one of the "TOP 100 Things to do in Northern America"
Tropical Night won the Seattle Magazine's 2007 award for "Best Night on the Water". Join the Duck Dodge on Facebook! And as noted on other forums, we do need a few more boats to drop anchors at the raft up. No one hook is going to hold 50+ boats in any sort of breeze. Either the anchor is going to drag or cleats are going to snap. 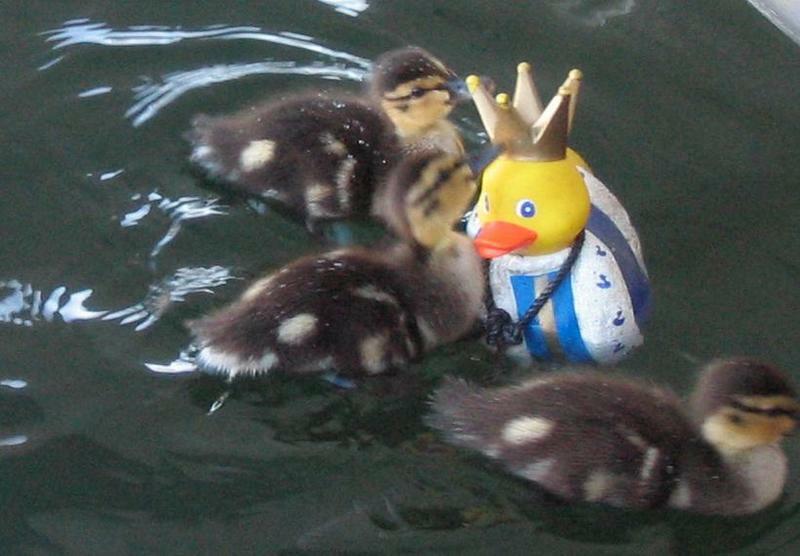 Your humble Duck Dodge Race Committee will always advise that you make sure your boat has all required safety gear, including enough PFDs and proper lighting for after sundown. Click Here for a list from the Washington Required Equipment Checklist. 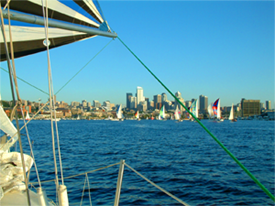 Looking to expand your racing experience, check out the Seattle Area Racing Calendar to see an almost complete list of all Seattle area sailboat racing. You're the 342,534th visitor, since 7/9/06.